Chase Bank to Shutter Oak Park Branch, May Reopen in New Location in 2019. 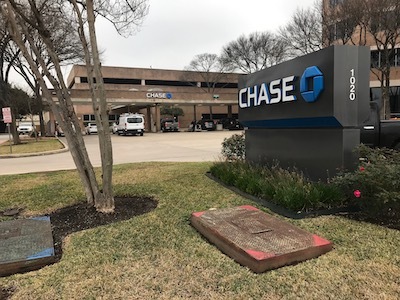 Chase Bank will reportedly close its Oak Park Branch at 1020 NE Interstate Loop 410, San Antonio, 78209 between North New Braunfels and Nacogdoches. The branch was opened in 1987, but since then much of its private banking business and staff have been relocated to the Chase branch at 4620 Broadway, which opened in 2012. The Oak Park Branch is familar to many local residents and features a convenient drive-through on the Loop 410 Access Road. Alamo Heights Independent School District spokesper- son Patti Pawlik-Perales alerted Alamo Heights residents on January 2, “We are once again partnering with the Alamo Heights Police Department to provide and share facilities for training. This training involved setting up a “safe” zone in the school where injured people can be taken in the event of an active shooter. This will enable EMS technicians to render aid more quickly. 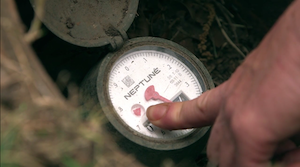 A number of Oak Park Northwood area residents are complaining about skyrocketing water bills. Several people told 78209 Magazine their SAWS bills jumped hundreds of dollars in December 2018 from the previous month. “My bills have always been around $58 a month,” one woman told me. But when 78209 Magazine contacted SAWS spokesperson Anne Hayden, she said SAWS has had very few complaints about large water bills for December 2018. I gave Hayden the address for the woman who complained about the $480 water bill. Hayden found she had had a leak in one of her toilets. According to Hayden, SAWS has adjusted the bill to account for the problem. Hayden advises customers to check for water leaks if their bills jump from one month to the next. That, she said, more often than not, accounts for a huge increase. She directed customers to a video SAWS prepared to help customers determine if they have a water leak. Go to https://vimeo.com/97976410 For directions to find if there’s a water leak. Hayden also noted some 78209 residents get their water from the City of Alamo Heights. If residents live in Alamo Heights, call the city to check on water issues. The number is (210) 822-3331. Councilman Clayton Perry’s office said they have had no complaints about water bills from December 2018. The old gas station at 6421 Broadway St. in Alamo Heights is about to welcome a new business. It’s the 4th in just a few years. This one promises truly tasty treats to eat. Gone are Alamo Heights Service Center, Rusty Bucket Bar-B-Que, Ideal Shoes Medical Supplies, and Beth Watkins for Justice. In their place, opening in March or April 2019, will be “Honchos, The House of Churros.” The restaurant features Churros – deep fried dough—filled with a variety of sauces including chocolate, peanut butter, strawberry, ice cream, and more. Honchos currently has one location at 5822 Babcock Road, plus a food truck. For those who have always wanted to follow their dreams- Deanie Dampier and her husband Skip have done just that. 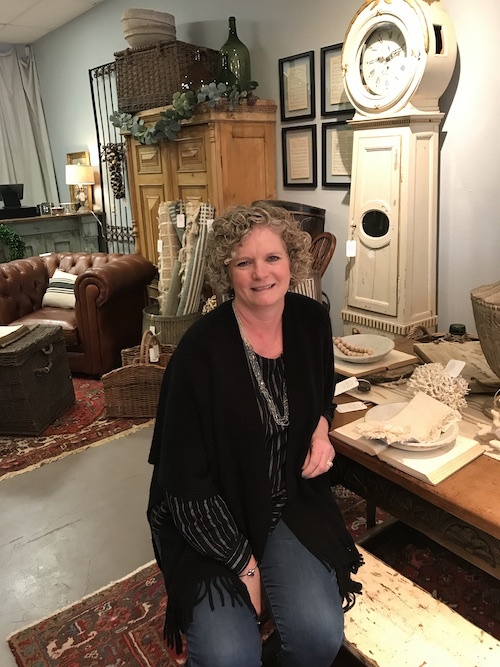 The couple had talked for years about opening a home décor store, especially because many visitors to their home suggested they do that. The Dampiers collected antiques and home furnishings as a hobby, filling their home with their purchases. After they became “empty nesters,” the time felt right to take the plunge. They opened “domestic provisions,” in the space previ- ously occupied by Roger Solar Sports, 5933 Broadway, across from Bird Bakery. The store features European Antiques, home décor, and modern furnishings. I asked her if she had some favorite pieces in the store. She hesitated a moment, then said, “It is so hard to pick favorites. I truly like everything here.” But she did single out an old Russian Ice Box she liked. 78209 Magazine readers may recall the old Whopper Burger hamburger chain in San Antonio in the 1950s–1980s. The chain was founded and owned by Dampier’s late father, Frank Bates. Perhaps those restaurants gave Deanie a taste for retail. “domestic provisions” is open Monday through Saturday from 10am to 6pm. For more information on the store, check out www.domesticprovisionsltd.com or call 210-716-4749.